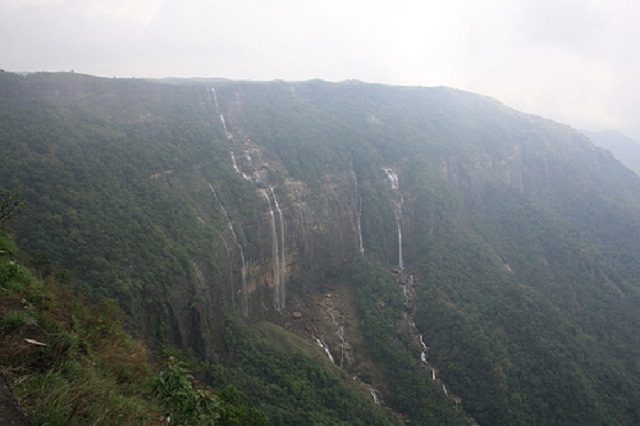 India is a country which is known for its diversity in religion, custom and cultures. It is a home for millions and except for rare occasions of unrest, these millions thrive harmoniously. With the increase of communication and globalization, mixing of culture has increased exponentially. India with its immense diversity has also experienced the changes that have happened due to greater interaction amongst people coming from various genres. It is being observed, of late, that people are participating in religious festivals even if they do not belong to that particular religion. Today’s generation works a lot more than the previous generations and looks out for every opportunity for a break. The various festivals provide for a relief from the monotonous routine life and thus almost all festivals are being observed with pomp and gaiety. 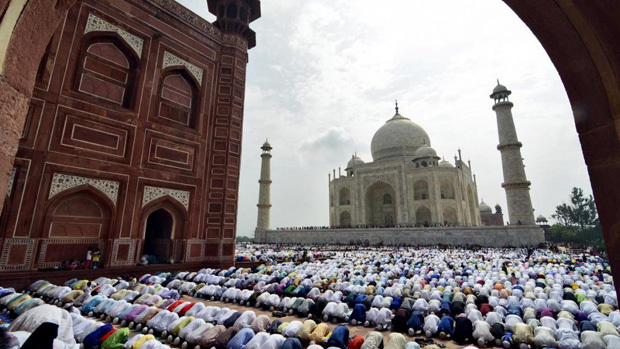 India is host to a huge Muslim population. Even though we see a few occurrences of unrest between Hinds and Muslim, the situations can be called stable. The most important festival for Muslims is Eidulfitr which they celebrate in the month of July. After the month long period of Ramdan, Muslims celebrate Eid-ul-fitr. The sight of the New moon marks the climax of this festival. This festival was started by the Islamic prophet Muhammad thousands of years ago and the tradition is being carried forward by the Muslims followers all throughout the years. The festival is joyous and is celebrated with a lot of pomp. The Muslims end their fasting period of Ramdan where they fast from sunrise and eat only after sun down. 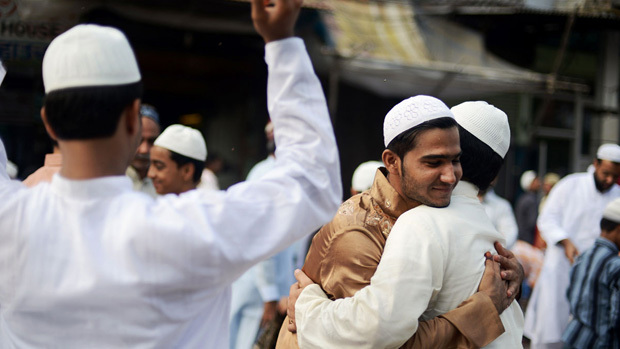 On the day of eid, they celebrated their festival by the famous eid hug, where all Muslim men hug each other to convey good wishes to each other. Also, they dress in the best of attire. It is during this time that you get to see the finesse of the famous muslimdarzees whose work is such that it leaves you spellbound. The food prepared by the various Muslim families is also lip smacking. Biriyani and firni top the charts of the menu. You will not have any biriyani better than the biriyani that is cooked in a Muslim household. People from various different cultures take time out to rejoice in the joy of this festival and go out to various restaurants serving Muslim delicacies. If you are looking to take a day of, the occasion of eid could be a good choice. You can go out with your family and have a nice day out. These little pleasures add to your treasure trove of memories that you would like to hold on to very dearly. Sudden trips are no more a problem with many budget hotels cropping up and many travel agencies ready with trip plans that suit your pocket and purpose. So just hop on and rejuvenate yourself with a break from monotony. You could visit Agra and Lucknow on the occasion of Eid-ul-fitr, where this festival is celebrated with its due grandeur and magnificence. 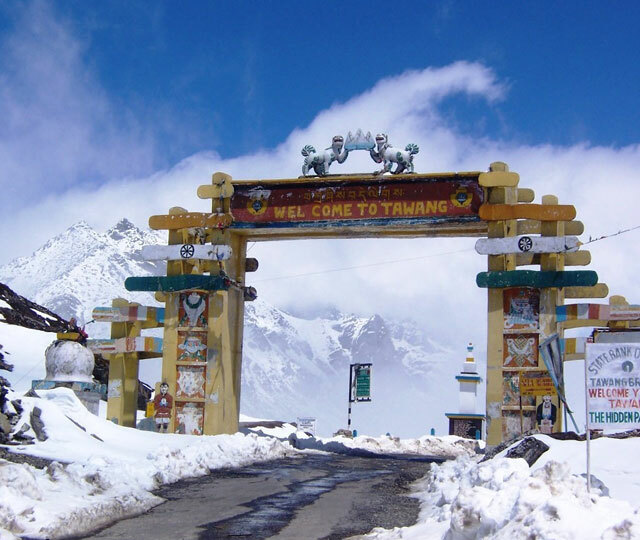 ← Shimla Summer festival – a treat to every visitor!